It was another busy summer with PIE! Almost every week there was an offering for kids on island. We again offered our very popular SCAMPS. 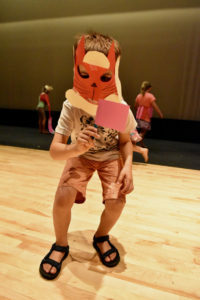 Kids had the option to participate in Gymnastics, Art and a Theater/Art combo camp. We also built upon some of our partnerships, specifically with Maine Robotics and Tanglewood. It takes a lot of pieces to bring it all together. 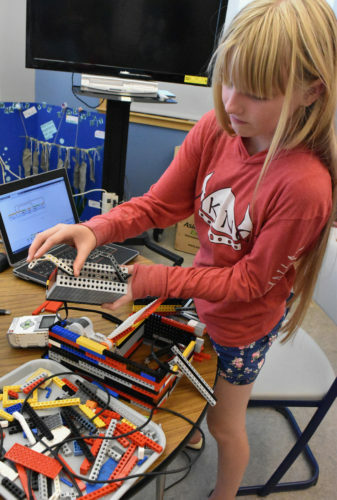 We kicked off the summer with our LEGO RoboticsSCAMP for ages 9-14. Students worked with Vinalhaven School Science Teacher Ms. Cohn to build and program their own robots. Specific challenges were introduced each day and students rose to the challenge, building their skills along the way. 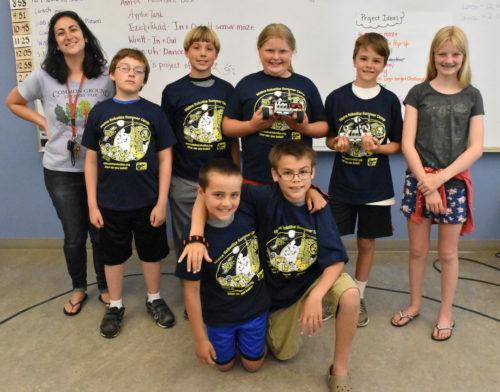 The camp was made possible through the partnership between Vinalhaven School, Maine Robotics and PIE. Ms. Cohn and the Robotics Team. 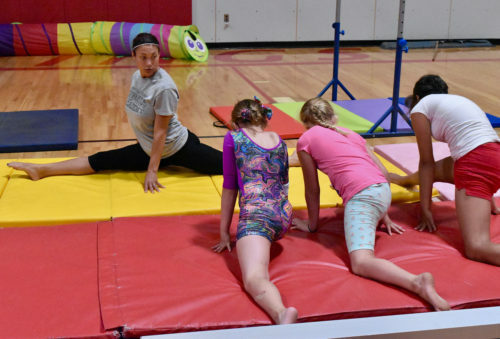 GymnasticSCAMP, led by River Lombardi was very popular! 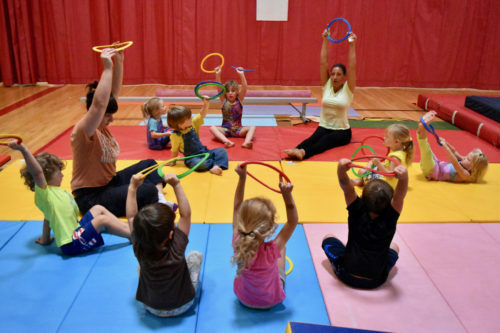 Kids ages 1-12 participated and developed a strong knowledge of basic gymnastics. River helping students master the split. River and Hillary warming up the class. ArtSCAMP was led by Sarah Boyden again this year. Students produced work in a multitude of medias. This camp is one of the longest running for PIE and the work shows as participants come back year after year, developing their own skills and style. The second week we had a Theater/Art combo camp. The theme was “Where the Wild Things Are”. Students developed their stage skills with Ms. River and designed and made masks in the art room with Sarah. They gave a final performance that families enjoyed. Hopefully our Wild Things are still causing rumpus out there as summer comes to an end. 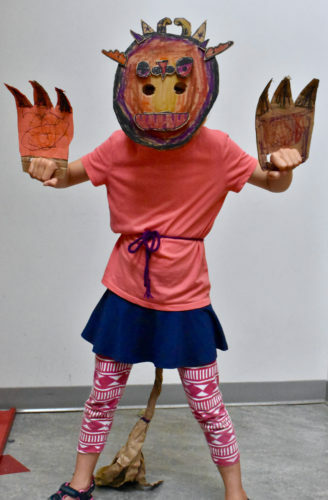 Wild Things – so much fun making these masks! The other partnership we built from last year was with Tanglewood 4-H camp. 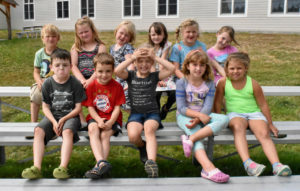 Tanglewood came to the island for three whole weeks this summer, offering kids age 4-11 an array of nature based lessons and activities. Students had fun learning about local flora, insects, how to be good stewards of the world around them and of course playing lots of ‘Camoflauge’ in the woods. We hope that this partnership will continue well into the future! 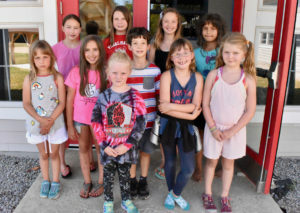 In 2017, PIE partnered with The Vinalhaven School and local artists to offer fun-filled, summer camps. We were able to offer 3 different camps where 80 students participated in ArtSCAMP, TheaterSCAMP & MusicSCAMP – see below. The success of this program went beyond our dreams – we will definately be back next summer! 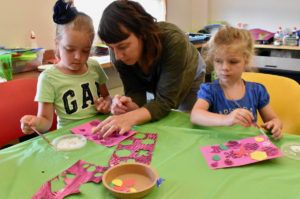 Teacher Sarah Boyden led the groups through activities including painting, line drawing, paste paper making, clay, faux stained glass, encaustic and so much more! There was a good dose of fun, and participants went home with a collection of their own work. Thank you, Sarah! This year, PIE also was able to offer TheaterSCAMP. 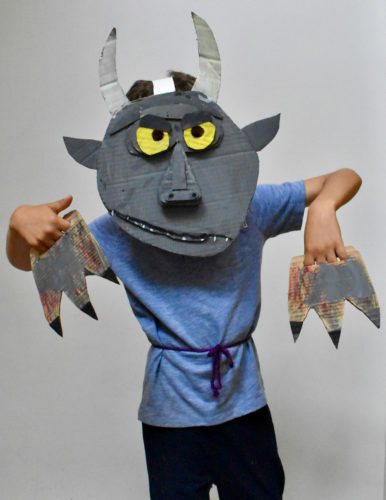 Younger students ages 5-7 played theater games, developed skits and make their own costumes. Our teacher, Blake Reidy, spent time teaching participants about the basics of the stage and how cooperation is integral to any production. Silly group skits were performed for parents on the last day of camp. Another very successful & fun summer camp. Thank you Blake! Our third PIESCAMP was MusicSCAMP. MusicSCAMP was also a new addition to programming this year. 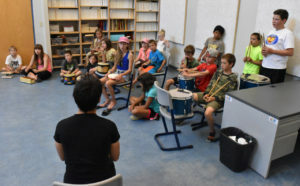 Students ages 8-12 participated in camp, with the focus on African Drumming. 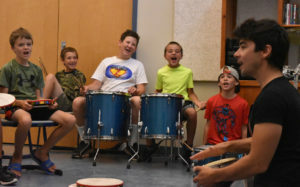 Teacher Bill Trevaskis led the group through basics of rhythm, percussion and singing while playing. A wonderful group performance was put on at the end of the camp. We can’t wait until next summer. Thank you Bill!